This blog post (a kind of montage-pastiche of educational observations) was inspired by Jon Andrews’ wonderful post today, Trouble Brewing at Snake Mountain High, which used the characters of He-Man and Skeletor to make some very powerful comments about education. The following is a transcript of a podcast in which Dr Adora, school principal at Etheria College, speaks to Mr Hordak, head consultantpreneur at the Institute of Think Tankery and Toolkitisms. Adora: Hello Mr Hordak. Thank you for joining me for this week’s Education Newsroom podcast. Hordak: Thanks, Dr Adora. It’s great to be here. I’m looking forward to clearing up some common misconceptions about our work and sharing some of the great things we’re doing at the Institute. Hordak: Well, we at the Institute of Think Tankery and Toolkitisms are getting a bit sick of being called ‘the Evil Horde’ in the media. We are doing excellent work. We have developed toolkits which really distil the business of teaching down to its essence. There’s no reason for teachers and schools to get caught up in worrying about research and innovation and such. We’ve done all the hard work for you! Our toolkits each provide a one-page summary which tells you all you need to know. About teaching literacy in the early years for instance. Or about instruction in the sciences. Or assessment. It’s index cards for the profession, if you like. Adora: But Mr Hordak, you aren’t listening to the profession. Those working in schools want to engage in thinking about, reflecting on and interrogating our practices. We want to engage in research literatures and what insights these might offer to our own contexts. We enjoy engaging in robust debate that teases out our understandings or challenges us to think differently and act deliberately. As a principal, I don’t want a one-size-fits-all straightjacket or a one page simplification of the complex work my staff and I do. I want my teachers to consider the needs of their students, the idiosyncrasies of our school and the ways in which we might work together to serve our students. Hordak: Let me interrupt you there, Dr Adora. We at the Institute make your work easier. We make sure your people are doing teaching right. We cut through the mumbo jumbo and the disputes between educational factions who are constantly warring and disagreeing about what should and shouldn’t be done. You can say goodbye to having to listen to experts and academics and teachers banging on about their apparent knowledge and expertise and, ahem, research studies. We’ve done the analyses and the diagrammatic representationising and the product researchervisation. We are experts in education thinkification and edu-preneurial-innovationism. You don’t need to do all that time consuming thrashing about with ideas, or unproductive action research in professional learning communities. For too long the concept of teaching has been spiralling out of control into some kind of overblown and meaningless discussion. We’ve given it meaning again. Clear, indisputable meaning. Adora: But as you noted, Mr Hordak, those actually on the ground, teaching and leading in schools, don’t like the way you’ve distilled teaching down into atomised parts. Teaching and school leadership aren’t things you can streamline into wafer-thin pieces. School culture isn’t something you can cook up from a shake-and-bake packet. These things are contested for a reason. They are complex. They are nuanced. They are contextual. Hordak: Types like you won’t ever come to understand what we at the Institute understand. Overthinking, egomaniacal principals like you will continue to ‘lead’ your schools into the ground. Why overwork your teachers when you have the short, sweet recipes for success at your fingertips? Even now my Think Tankery minions are finialising our brand management and commodification procedures. My Toolkitists are reassessing our pictorial illustrations for their effective cognitive impactiness and persuasivity. Adora: To me your toolkits and pictures-of-practice sound like Orwell’s totalitarian Newspeak, in which the complexities of thought and action are deliberately limited through the distilling of language down to parts. This no longer allows the kinds of thinking we want teachers and leaders to be doing. You are attempting to control teaching in order to make money. In doing so, you are destroying the profession, not helping it. 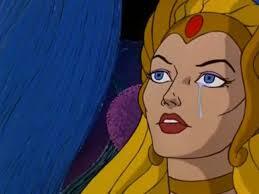 Hordak: That’s where you’re wrong, Dr Adora, so very very wrong. We are purists. Our index-cardification of education allows not only the guidance of practice, but also its measurement. You can have all the data you’ll ever need. Our one page summaries aren’t just index cards, they’re score cards. Everyone from principals like yourself to education ministers can easily and quickly score teachers against our simple formulae in order to determine their effectiveness and punish or reward them as appropriate. Failing teachers and failing schools have never been easier to identify. This is the future of education! At this very moment we are in discussions with the Ministry of Education in order to distribute the work of the Institute throughout the country. We will influence every school and every teacher. Mwahahahahhh! 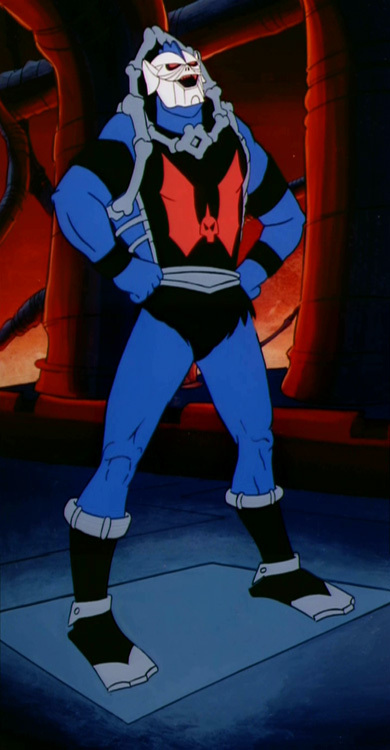 Adora: Well, that’s all we have time for today, Mr Hordak, but I’m sure there are many educators around the nation despairing at the thought that organisations like yours might have power over the important work that they do. Since writing this post, the following blog posts have been written by other bloggers exploring satire and/or 80s icons as lenses into educational issues. They are well worth a read. This entry was posted in Education and tagged education, education consultant, edupreneur, He-Man, She-Ra, think tanks by Dr Deborah M. Netolicky. Bookmark the permalink.